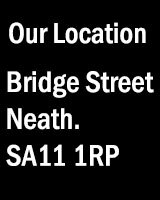 The Neath & District Photographic Society UK Salon is open to photographers with addresses in the United Kingdom, Channel Islands, Isle of Man, and BFPO addresses. Entries may be submitted online via the exhibition web site, or on CD/DVD (not rewriteable media) by post. The Organisers reserve the right to reproduce all successful entries in the form of a DVD which will be sent to all entrants and normal copyright rules will be strictly followed. Each participant will receive an individual notification of their results. The Exhibition Organisers’ decision is final and no correspondence will be entered into. The organisers will take great care of the entered work but decline all responsibility in case of loss, theft or deterioration during transit or during the projection. Permission to reproduce any image for advertising purposes in conjunction with our Sponsors is assumed. All Entrants on accepting the Terms and Conditions agree to supply if requested. A high resolution copy of the image, suitable for printing. A sequence of images surrounding the entered image. All Images must be the sole work of the Entrant. Images that have been accepted or won awards in any previous NDPS UK Salons will not be eligible. If you are entering images taken at a Club shoot, please be aware that similar images may be entered. This could result in the image being downmarked by the Selectors who are unaware of the Photographers Identity. All entries are accepted in good faith. The Entrant agrees to indemnify the Judges, Exhibition Organisers and other related parties against any litigation that may arise if entered images do not have the necessary permissions to be published in Exhibition-related documents, or any website associated with the Exhibition. The Exhibition Organisers have the right to withdraw Awards should it become apparent that an image was ineligible. The Exhibition Organisers reserve the right to reject images for any reason, at their discretion. By the virtue of his/her participation the author accepts these regulations. It is the entrant’s responsibility to ensure that his/her contact details are kept up to date. Any black and white image going from very dark grey (black) to very clear grey (white) and containing only various shades of grey. A black and white work toned entirely in a single colour will remain eligible for the monochrome class. However, a black and white work modified by partial toning or by the addition of one or more colours, becomes a colour work and is thus ineligible for the monochrome class. Montage, Altered reality and Surreal Images. Any final image made up from a foreground (subject) image and one or more different background images is considered to be a creative image. The image must obviously display a change in natural colour, form, shape, or any combination of these three. Creative images are montages (a blending or composite of multiple images). High Dynamic Range (HDR) images without further changes are not considered creative and must not be entered in this class. The original image(s) must have been captured using the photographic process. Images may not incorporate elements produced by anyone else. This includes any textures or overlays incorporated within the image. Artwork or computer graphics generated by the entrant may be incorporated, provided that the original photographic content predominates: images may not be constructed entirely within a computer. It is necessary that the image’s core content be photographic and identifiable. Any subject matter is acceptable as long as the creative guidelines are followed. Non-creative images must not be entered in this class and will be marked down. This is the Nature definition adopted by PAGB from 2018, edited to remove inapplicable Wildlife class references.Note that images already meeting the separate FIAP Definition of Nature https://www.gradacfoto.com/pdf/Definitions.pdf will satisfy this less restrictive definition.Nature photography is restricted to the use of the photographic process to depict all branches of natural history, except anthropology and archaeology, in such a fashion that a well-informed person will be able to identify the subject material and certify its honest presentation.The story telling value of a photograph must be weighed more than the pictorial quality while maintaining high technical quality.Scientific bands, scientific tags or radio collars on wild animals are permissible. Photographs of human created hybrid plants, cultivated plants, feral animals, domestic animals, or mounted specimens are ineligible, as is any form of manipulation that alters the truth of the photographic statement.Processing of the captured image, by cropping, exposure adjustment, colour correction, noise minimisation, dodging/burning, HDR, focus stacking and sharpening, is allowed. Cloning of image defects and minor distractions, including overlapping elements, are permitted when these do not distort the truth of the photographic statement.Images entered as Nature can have landscape, geologic formations, weather phenomena, and extant organisms as the primary subject matter. This includes images taken with the subjects in controlled conditions, such as zoos, game farms, botanical gardens, aquariums and any enclosure where the subjects are totally dependent on man for food. The images will be projected using a colour-calibrated high quality digital projector which has a displayable image area of 1400 pixels wide by 1050 pixels high. Images which are smaller than 1400 by 1050 pixels will be displayed as is (i.e. they will not be made any bigger) and will be surrounded by black as required to fill the displayable area when presented for selection. The online submission web site will not allow you to enter an image which is too big. Only JPG images will be accepted. An sRGB colourspace will be assumed. It is strongly recommended that submitted images should have been converted to the sRGB colourspace, otherwise the Judge will probably not see the same colours that you do! Image titles will be read out to the Selectors and will appear in the catalogue and on the results web pages. Image files submitted using the online submission website may have any name, within reason, with the proviso that the file must be a valid JPG filewith the file name suffix ‘.jpg’. The website will attempt to convert your file name into a preliminary image title. You may then modify that title to suit your requirements both before uploading the image and, if necessary, after the upload. Please refer to the Postal Entry Form for the file naming requirements for postal entries. Entries may be submitted online using the Exhibition online entry pages of the Neath & District Photographic Society website, or may be submitted by post accompanied by a completed Postal Entry Form. These are the only methods of entry. Payment can be made using the online system during the submission process or by personal cheque if preferred. Please note that each image file to be uploaded must be no larger than 3 Mb. Please note that the Submission Software permits users to amend their entries. If amended, the entry MUST BE REFINALISED, otherwise the submission is not made. Please check and double-check! One class entered: £10; two classes: £12, three classes: £14, four classes: £16. Payment may be made using the Secure PayPal checkout facility using the ‘Payment’ button on the website. Please Note: You do not need a PayPal account to pay your entry fee as the Secure PayPal checkout will give you the option to pay with a Credit or Debit card. You can pay by personal cheque if you prefer. When paying by cheque, the cheque (denominated in pounds Sterling) should be made payable to ‘Neath & District Photographic Society‘ and be posted to the address below. Please be sure to write the reference number allocated by the system on the back of your cheque. You will be told the reference number when you finalise your entry. We only collect the minimum amount of personal data in order to operate the Exhibition. As a member exhibition of the British Photographic Exhibitions (BPE) circuit, all images accepted into this exhibition count towards BPE Crown Awards. Entrants are invited to aggregate their acceptances in affiliated exhibitions to apply, without charge, for a BPE Crown Award. Please see http://www.britishphotographicexhibitions.org.uk for more details about the BPE. On receipt of any information or complaint about an entrant or image not complying with these Terms and Conditions, details shall be forwarded in writing to the entrant concerned stating the nature of the alleged non-compliance and asking for their response and any evidence deemed necessary to contradict the allegation. If the complaint or information alleges that the entry criteria under the Terms and Conditions have not been met then, without evidence to the contrary, the Organisers reserve the right to reject or disqualify that image or images. The Organisers will make any enquiries necessary to bring any complaint or allegation to a conclusion. The Organisers will inform the entrant in writing of the outcome of any investigation and any decision the Organisers deem appropriate. If information is received anonymously, the Organisers shall have discretion to decide whether or not to act on the information. The Organisers reserve the right to decide whether any personal details of an informant or subject of complaint will be revealed. The Organisers shall decide whether the British Photographic Exhibition and/or the Photographic Alliance of Great Britain are informed of any allegation and the result of any investigation. The Organisers may vary the administration of the Exhibition at their discretion.